HAVANA – Cuba will soon implement a new tax on imported goods, but the move is expected to have a significant negative effect on local businesses. 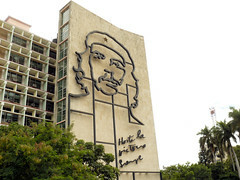 On July 17th the national radio station of Cuba Radio Rebelde revealed that the government plans to introduce a new import tax on goods brought into the country by individual taxpayers. From September 2012 all Cuban nationals who leave the country more than once a year will be required to pay an import tax of at least CUP 10 per kilogram of imported goods. Tourists to Cuba will also be liable to pay the tax on commercial goods, which will be imposed upon their first arrival. Currently, the import taxes on goods brought into the country are set at CUP 0.50 per kilogram, with pre-set duties for selected items, such as kitchenware and televisions. The tax changes were first revealed in the government’s Gaceta Oficial de Cuba, and were dated July 2nd, but were not previously mentioned by any of the state-run media outlets. Some members of the local business community have already spoken out against the new tax rate, saying that the change could have a very significant negative effect on private businesses in Cuba, which rely heavily on informal imports by individuals. The change was also described as being confusing and contradictory, with some aspects of the legislation indicating that the tax could be calculated based on the value of the goods and not their weight.